Kansas City’s licensed taxi business is about to all but disappear. But not its taxis. On Monday, Missouri Gov. Eric Greitens signed a law pushed by ride-hailing companies Uber and Lyft. It poses lighter regulation than Kansas City’s ordinance governing drive-for-hire businesses. Crucially, it declares that the rules passed in Jefferson City trump those adopted by City Hall. On Tuesday, the CEO of Kansas City’s dominant taxi business said that all but about 40 of the roughly 450 vehicles the company operates won’t bother with a city license come fall. Instead, said Bill George, cabs that have operated under the Yellow Cab and 10/10 Taxi will be shifted to zTrip, a “transportation network company,” or TNC — subject to the same state licensing standards as fellow TNCs Uber and Lyft. Scott Wagner, Kansas City’s mayor pro tem and chairman of the council’s finance committee, said he was disappointed that the state had taken control of overseeing the businesses. City Hall could lose some revenue if it’s licensing fewer taxis, but it also will have less work to do on inspections and background checks, said Assistant City Manager Rick Usher. George said Yellow Cab would continue to get city licenses for 40 to 50 traditional taxis, at a cost of $250 each, so that those vehicles can pick up passengers hailing rides from the curb at Kansas City International Airport. The rest of the fleet will take a can’t-beat-’em-join-’em approach to competing with Uber and Lyft. Under the zTrip brand, the cars will be available by smartphone app. George notes that unlike the better-known ride-hailing networks that grew out of Silicon Valley, his zTrip cars will also be available by dispatch, can be booked in advance and will accept payments not just through an app, but with credit cards and cash. He expressed a slightly different view when the legislation was under debate in Jefferson City. Uber worked with the Kansas City Council, sometimes contentiously, on rules policing the business and setting requirements for background checks of drivers. Lyft resisted and pulled out of the market in 2014. It had left the state of Kansas until lawmakers in Topeka loosened its rules last year. Lyft returned to Johnson and Wyandotte counties in November. In the wake of the signing of Missouri’s new law, which takes effect in late August, Lyft was vague about any plans it might have for coming back to Kansas City. Uber and Lyft lobbied heavily in Jefferson City for the changes. Uber, for instance, hired former Missouri House Speaker Steve Tilley to push for rules overriding the Kansas City ordinance. City Hall, meanwhile, pressed the legislature to keep Kansas City’s regulatory powers in place. It argued that the looser state rules in the new law don’t offer customers the same protection from fraud or crime. Under the city ordinance, a third-party vendor conducts background checks on potential drivers. City inspectors require them to have proper insurance and approve the vehicles as safe and in good condition. Kansas City also insists on yearly criminal background checks, said Jim Ready, the manager of the city’s Regulated Industries Division. The Missouri law does not include that requirement. The roughly 700 drivers in George’s operation, people who’d been subject to the city’s more stringent rules, are already independent contractors. About two-thirds of those drive full-time, he said. He said he’s been able to recruit former Uber and Lyft drivers because so many have become disgruntled with those companies. He said the new state law “allows us the freedom to run the way we see best to suit our customers.” His company oversees taxi businesses in more than a dozen cities, and he was unaware of other cab operations that had transformed to become transportation network companies. 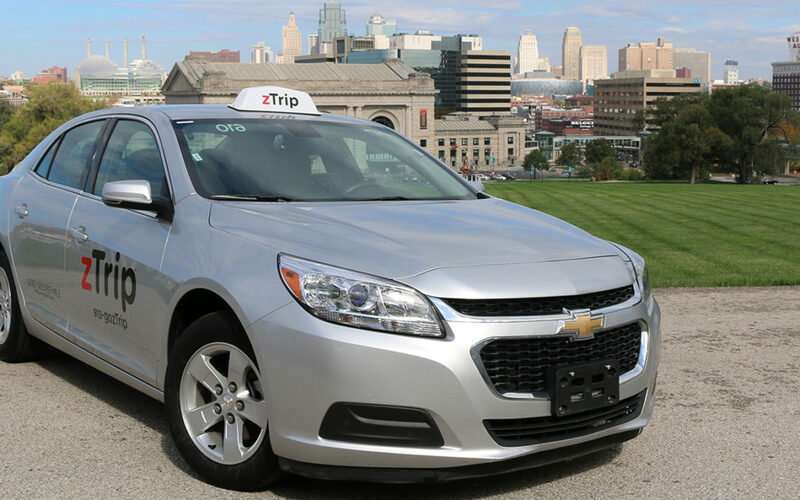 KC’s zTrip hails another local company to boost safety of its drivers, riders. Kansas City-based transportation company zTrip Inc. says it will boost the safety and security of passengers with the purchase of equipment from another local company. ZTrip will buy 450 video event recorders from Lenexa-based Digital Ally Inc. The devices provide audio and video recordings of driver-passenger interactions, along with information on the location, speed and maintenance of vehicles. 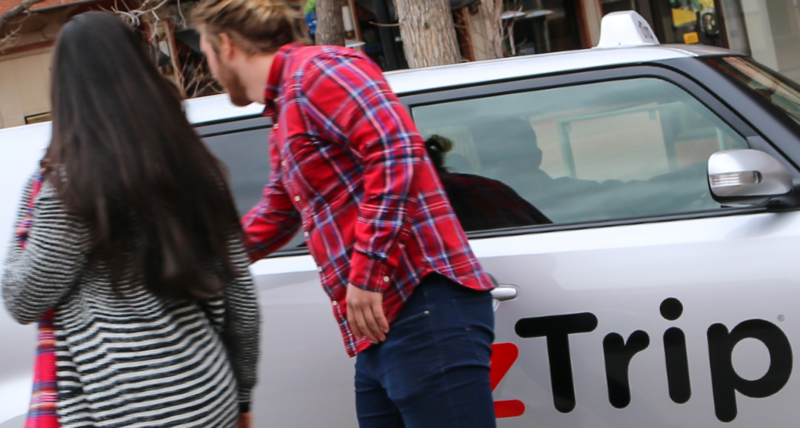 Founded in 2016, zTrip offers taxi and ride-share services in 18 cities. The company plans to end this year with operatins in 30 U.S. cities and affiliate in more than 16 international cities. That’s big for Digital Ally, because zTrip has named its video event recorders as preferred equipment for the zTrip fleet.